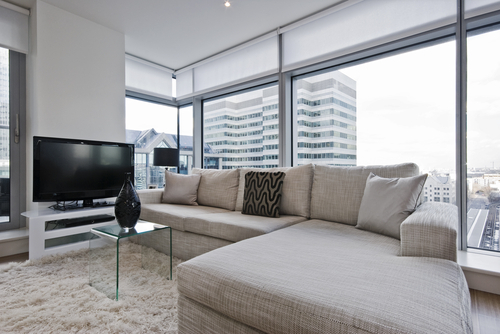 More and more Singapore residents are choosing to have their window treatments such as blinds fitted with motorized remote control capabilities. Many people have slowly woken up to the fact that these kind of shades are simply too convenient not to take advantage of while they can. To some people, installing blinds with remote control capabilities may seem as an unnecessary extravagance, but to those who have tried and it and seen just how advantageous they can be, there is no window treatment that can compare. Motorized window blinds are not just about the convenience that comes with this kind of window treatment. There are some security advantages added on as well. For those who are still on the fence about whether or not to have blinds with remote control installed, here are some wonderful benefits and reasons as to which you should go for this option. As much as window treatments can add to the aesthetic value of a room, manually operated blinds tend to have attached wires and strings that clutter up the whole look. 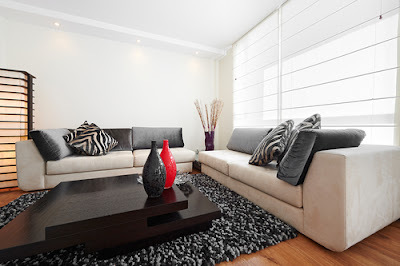 With remote controlled blinds, there are no such wires associated with the window treatments. This means a much neater and better looking window. With this kind of motorized treatment, you do not need to manually pull any wires. To operate the blinds, a remote control is used. The best part is that the latest technology allows you to remotely operate the blinds without actually having to point the remote controller directly at the windows. This is due to radio frequency technology. Furthermore, this allow you to operate your window blinds through walls; operate just one or all of them at once as well as combine them into your preferred groupings. It is all about total control and convenience. We all know how expensive great window treatment options can be. Depending on your taste and style, the fabrics and fittings used in your window treatments could amount to a tidy sum; one that you would not want to keep spending on the same accessories as often as twice a year due to wear and tear. However, frequent manual pulling and tugging of this fabric will lead to extensive damage that could require you to spend more money often just to keep up aesthetics. Failing to do so will lead to a poor look and in some cases, damaged window treatments and hardware. That is one of the main reasons as to why having remote controlled window blinds make financial sense. Since this entire process of opening and closing the blinds is motorized, it allows for smoother, frictionless operation. With this minimized pull and tug interaction, your window treatments have a better chance of lasting longer and staying as attractive as the day you had them installed. In the long run, it saves you money and keeps your space looking beautiful and well preserved. There are those of us who like to let just a little light into any given room. This means that we would rather have our blinds opened only three-quarters of the way of even half-way through. One of the best things about having motorized window blinds is that you can have your preferred specifications preset into the system so that you do not have to make the adjustments every single time. This very preset capability is also a wonderful security feature because it can give the illusion that the home is occupied even when it is not. If you travel a lot or come home late in the evening but would like your house to enjoy some daylight, you can have your blinds preset to automatically open and close at certain times of the day. Not only will this let in light during the day, but it will also close the blinds in the evening for privacy and security purposes. This daily automated action will lead people to believe that the house is occupied even though you might have traveled for weeks. Depending on your taste as far as home designs are concerned, having a lot of windows could be your preference. As beautiful as these many windows can be, they can also be very inconveniencing when it comes to opening and closing the blinds. It is not unheard of for people to spend up to ten minutes each morning and evening just struggling to open and close numerous window blinds. This is time you could spend doing something else more constructive. 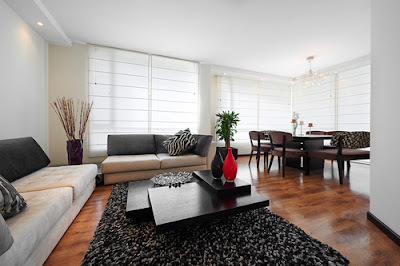 With motorized window blinds, it does not matter how many windows you have in your home. You can automatically open and close all of them at the same time or just a select few at a time. The point is, you can choose which ones to open and close at which times and this whole process will take as long as it takes you to press a button on the remote controller. Instead of spending up to twenty minutes a day opening and closing your blinds, now you only need to push a button and get on with your life. When people hear that there are motorized window treatment options out there, they immediately assume that these are things only the rich and famous can afford. The truth is that these kind of automated window treatments are more affordable than you may think. Although there are very many options available, so of which could be a bit more expensive than others, there are wonderfully affordable options available as well. All you have to do is look around and get estimates according to your specifications. You will be surprised to see that there are very affordable options available to you. Having remote controlled blinds installed is not only a convenient way of life, but it is affordable, offers great security options and it simply adds value to the aesthetic value of your home or office.